Welcome to the beginning of your journey to build a custom Yankee Barn Home! During this process you will advance through several stages: initial contact, design meeting, preliminary, schematic, and progress plans. Designing with Yankee Barn Homes is an exciting and rewarding process. Your dream home will develop and progress through the use of our advanced 3D architectural software. The design process advances through the following steps. 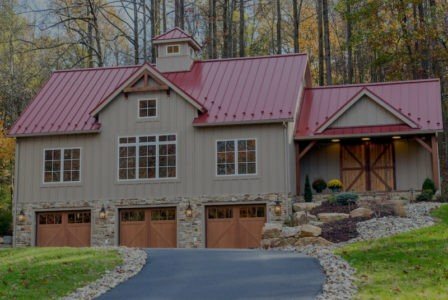 The role of a Yankee Barn Homes Customer Representative is to help you research our product and discuss any specific design goals and needs you may have. We welcome you to share any ideas or rough plans you might already have in mind. Our Customer Representatives will want to know what your estimated timeframe for building is, if you own land and your allotted investment for your custom post and beam home. When it appears we will be a good fit for each other our Customer Representatives will set up a design meeting with one of our Yankee Barn Homes Design Managers. This can be a phone appointment, a face to face discussion at our facility in Grantham, New Hampshire or a site visit depending upon which is more appropriate. Our Design Managers will provide more in depth construction information and review your design goals and plans. The design process is perhaps the most critical stage of building a custom home. This process not only determines the aesthetic of your home, it also determines the flow of the floor plan and the level of investment required to build the home. Consider your investment plan. Before beginning the design of your Yankee Barn home, determine the amount you plan to invest in your total building project. Your Design Manager will then be able to make design recommendations that are in line with your investment plan. Gather together examples of homes and rooms you would like to share with your Design Manager during the Design Meeting. You do not need to have all your design ideas figured out for this meeting but a few ideas will help expedite the process. Consider how you plan to use the rooms and spaces in your new home. Do you have dogs, cats, kids or grandkids to consider? Does anyone have special needs? Do you plan to host large family events at your house? Collect sample floor plans from www.YankeeBarnHomes.com. Make note of floor plans that have layouts similar to the floor plan you envision for yourself; it can be a helpful starting point. Browse the photo galleries on www.YankeeBarnHomes.com. Gather together images representing design elements you like. Consider general architectural styles, kitchen and great room layouts, window styles, exterior siding types, etc. Other photos and magazine clippings are helpful, too. Review and sign the Yankee Barn Homes Design Agreement, which states the scope of services you will receive from Yankee Barn Homes during the Design Process. Render your Design Fee. This is a $3,000 fee for residential or utility use of less than 3,000 square feet ($5,000 for residential or utility use of 3,000 square feet or more or commercial or other public use), which is credited towards the total cost of your Yankee Barn Homes Shell Package. Work with your Design Manager to complete the Initial Design Interview. Your Design Manager will ask questions that will allow the design team to pull your ideas together into an inviting design of your custom home. You will receive your initial set of concept sketches approximately 2 weeks after your Design Meeting. Please review and provide feedback from the drawings your Design Manager sends you. Your Design Manager will also explain several design options for you to consider. A Building Specification report that outlines the precise components to be included in your Yankee Barn Homes Shell Package. A detailed estimate for your Yankee Barn Homes Shell Package. Review your Schematic Plans and Building Specification with your Design Manager. You will have the opportunity to make several revisions if needed. A revised Building Specification report. The price quotation for your Yankee Barn Homes Shell Package. Review any final changes to your Progress Plans with your Design Manager. You will have the opportunity to request additional revisions to the plans if needed. You have completed the Design Process. Your next step is to move on to the Construction Process, initiated by reviewing and signing the Yankee Barn Homes Construction Agreement. 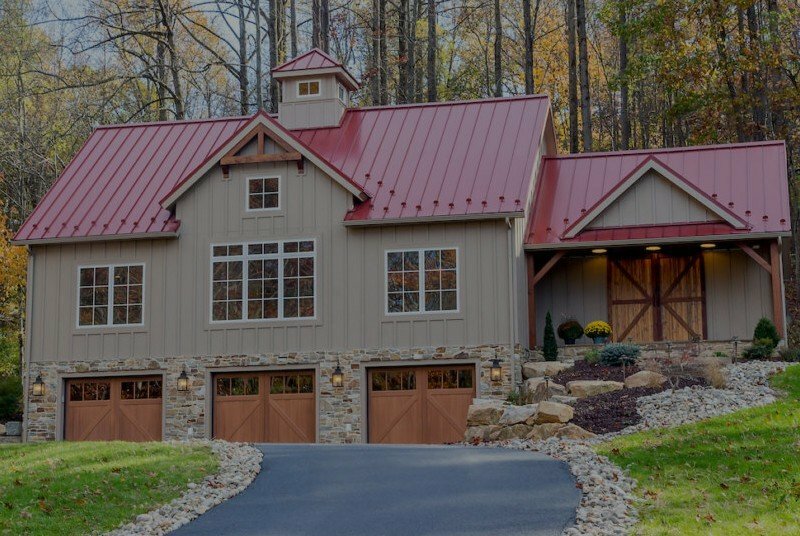 Your 20% Construction Down Payment will reserve you a production slot on Yankee Barn Homes’ production schedule and authorize your design team to develop the Construction Plans for your new Yankee Barn home Shell Package.